Discussion in 'Downhill & Freeride' started by descente, Nov 29, 2010.
i've got an older morewood ndiza. i'm not the original owner. tonight i took it apart to try and track down the looseness i've begun feeling in the pivot. what i found made me very very sad. the pivot boss which was welded into the frame has completely broken free from the welds that hold it, causing it to rattle. it can't quite spin, but its getting there to give you an idea of how bad it is. seeing as the ndiza has been discontinued, and i'm not the original owner i have a feeling i am on my own here. i love this bike, it is the sickest, funnest bike i've ever ridden and we were just getting to know each other. i have many friends who are comfortable TIG welding AL. i'm a pretty confident fabricator and i know this is definitely fixable. How much is your life worth? Do you trust your friends welding enough to ride a jackhammering bomb down a rocky hill at 800mph? I don't. Why not contact Morewood and see what they will do? If you are a racer, or maybe just loyal to the brand, perhaps they can help you out. i will admit that I don't know much about welding aluminum, but man...no. He'll do anything...for a price. And that price is probably a lot less than a new frame. Edit: Youre in Norcal, I think Ventana does repairs for stuff like this too. 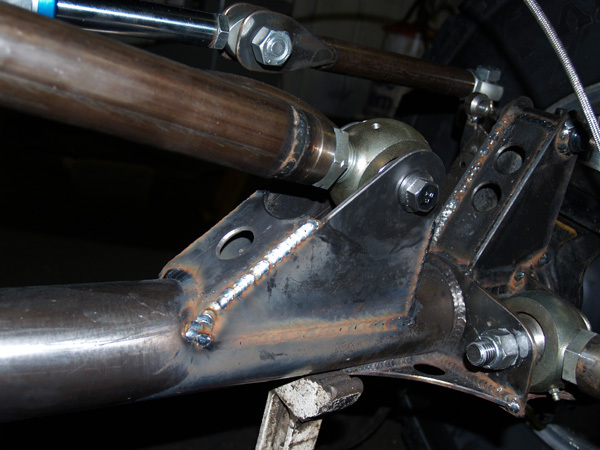 If your friends weld it then make sure you can get it properly heat treated. Different aluminums need different heat treating processes and some being alot hotter than others. I ride bikes quite often with a friend's welds in some critical spots. If you keep an eye on it and it was heat treated correctly then you should be fine. If it were me I would definately take it to my friend. Ventana would probably be a safer option. Call Richard at Morewood USA at 828-687-0788. Offer him beer and a custom fabricated door latch. I'd probably get in touch with Frank The Welder if Morewood can't resolve the issue. FTW for the WIN !! Enytime alu is welded or re welded it must be heat treated or re heatred. so apparently there are SPI bikes and SPI2. my bike is SPI (the older design), and not compatible with the SPI2 design apparently. the rep i am in contact no longer has access to SPI front triangles. anybody have a good contact for F T W? -It's already as broke as it was going to get and it didn't kill him. -As long as the tig welding person knows what they're doing, they should be able to tell you if they can get a strong enough weld on there. I somehow had gotten one of Morewood's prototype Izimus a while back, which didn't have the extra gusset between the top tube and the head tube. As such, I was pretty much fated to slam into a volkswagen sized boulder at full speed and put a crack in just that very location. I took it to this guy I know who builds stuff like this for a living and told him I didn't care if it was pretty, I just wanted a bike again. Made me an ugly weld that worked. I rode that bike for another year over some pretty rough crap ie Goats Gully in whistler, all over Northstar, etc, no problems. Moral of the story: bike people get super freaked out about welding stuff.